John Negroponte joined the U.S. diplomatic service in 1960, and as the Vietnam war raged he was assigned to the U.S. embassy in Saigon, South Vietnam. From 1971 to 1973, reporting directly to Secretary of State Henry Kissinger, he was the National Security Council (NSC)'s senior officer for Vietnam. From 1981-85 he was America's Ambassador to Honduras, which was then a U.S.-backed military regime that was consistently accused of using death squads, torture, kidnapping, and assassinations to obliterate opposition. U.S. military aid for Honduras was increased from $4-million to $77-million, and while he was Ambassador, Honduras was used as a staging area for covert warfare on two fronts, against rebels in El Salvador and, under the direction of Oliver North, supporting Contra rebels in neighboring Nicaragua. As Ambassador, Negroponte would be expected to oversee these operations, though he has always claimed he knew nothing. 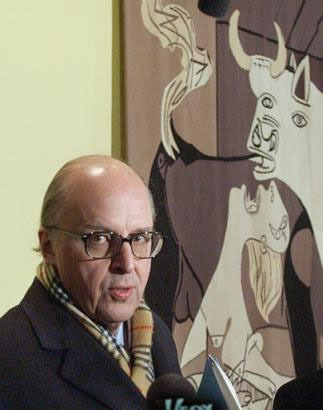 Amid ongoing news reports of a murdered Archbishop, raped and tortured nuns, the disappearances of hundreds of activists, etc., human rights groups said their complaints of grotesque atrocities were ignored by Negroponte. Decades later, hundreds of people remain 'missing' in Honduras, and as recently as 1999, mass graves of the disappeared were discovered on a former U.S. military base where Nicaraguan Contras had been trained by Americans in the 1980s. In 1994, an inquiry by the Honduran Rights Commission accused Negroponte of responsibility for many human rights violations. Under Presidents Ronald Reagan and George H.W. Bush, Negroponte was Deputy National Security Advisor from 1987-89, reporting directly to Colin Powell. He was US Ambassador to Mexico from 1989-93, where he was involved in North American Free Trade Agreement (NAFTA) negotiations, and then Ambassador to the Philippines from 1993 to 1996, under President Bill Clinton. In 1997 he was widely expected to become Ambassador to Greece, but as the horrors of his time in Honduras were being uncovered, it was thought he could not pass the Senate confirmation process. Instead, he became McGraw-Hill's Executive Vice President for Global Markets. In 2001, answering the call from President George W. Bush, he became America's Ambassador to the United Nations, where he argued unsuccessfully for a UN Security Council resolution sanctioning the 2003 U.S. attack on Iraq. In 2004, as the restoration of Iraq's sovereignty was publicly announced, Negroponte was appointed Ambassador to that nation. Newsweek reported that the Pentagon was considering calming Iraq with "the Salvador Option", an oblique reference to the death squads that had roamed Central America while Negroponte was there. Reports have since become commonplace, of similar death squads roaming the countryside and committing mass murders in Iraq. In 2005, with no overt intelligence experience on his résumé, Negroponte was named to the newly-created position of Director of National Intelligence for the United States. In this job, he oversaw all American intelligence agencies, and provided daily intelligence briefings for the President, a duty that had previously been performed by the Director of the Central Intelligence Agency. He left that position in 2007 to become Deputy Secretary of State, second-in-command to Secretary Condoleezza Rice. His brother, Nicholas Negroponte, was co-founder of the Massachusetts Institute of Technology's Media Lab, where he designed the protocols that made the early internet possible. Another brother, Michel Negroponte, is a documentary filmmaker who teaches at New York University.